Who we are | FG Tax Associates, Inc.
F.G. Tax Associates is led by a familiar partnership since we open our doors back in 1990. 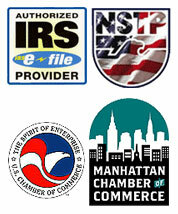 We are equipped with a state of the art computerized Income Tax preparation for all Federal and State Returns. We offer the most competitive price of the market. We believe in giving our clients the best possible service. In order to achieve this, we take the necessary time to get enough information from you so all possible deductions are considered. Thanks to our strategy and “Questions-Answer” technics, as our high level of knowledge, we avoid error mostly committed by others. Therefore, we guarantee an excellent service. Tax Season: everyday from 9:00am to 9:30pm. Summer and fall: Monday through Friday from 10:00am to 4:00pm. We work the whole year through for you!